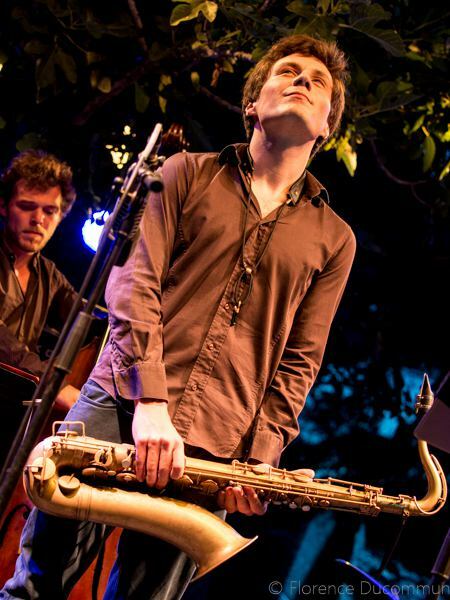 26-year-old saxophonist Olivier Chaussade, from Toulon, discovered jazz at the age of 11, and immediately developed a strong interest in this musical genre. Meeting Yvan Belmondo kick started a great musical collaboration, which continues to this day. Firmly committed to forging a musical career, he joined IMFP music college in Salon de Provence at the age of 17, under the guidance of Gérard Maurin, who prepared him for the entrance examination to the Conservatoire National Supérieur de Musique in Paris, where he was admitted at the age of 19 into the class of Riccardo Del Fra. Olivier has been performing for a number of years on French and European stages, notably alongside Archie Shepp in his big band, as well as with artists such as Cécile McLorin Salvant, Raphaël Imbert, Stéphane Belmondo, Christophe Leloil, among many others. Olivier is a saxophonist deeply rooted in the jazz tradition, heavily influenced by musicians such as Sonny Rollins and Cannonball Adderley. Olivier plays with Steuer Jazz Tenor reeds. Copyright © 2016 Steuer. All rights reserved.